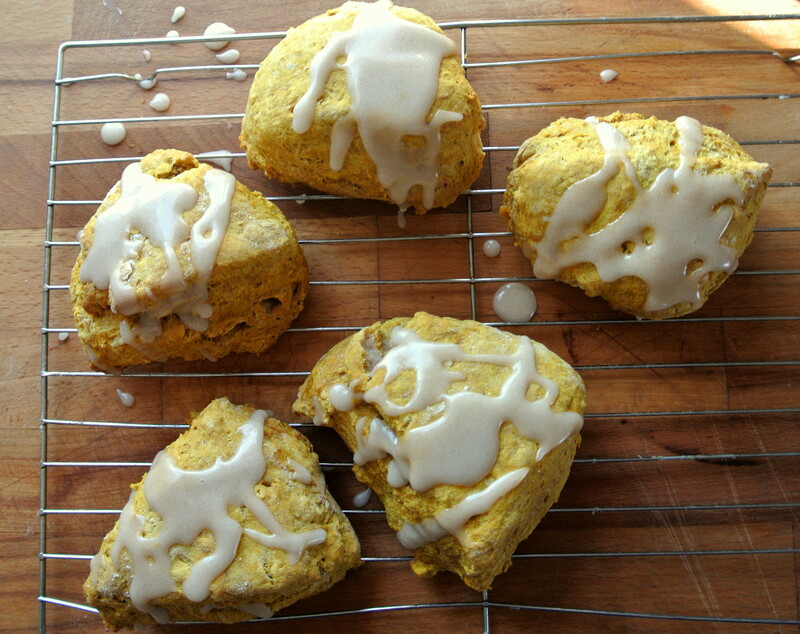 These scones are soft and moist, with melding flavours of pumpkin, cinnamon, and maple. The maple glaze is the perfect amount of sweetness. I also learned you can make powdered sugar at home. Just whirl white sugar in a coffee grinder for 10 seconds, and you’ll get powdered sugar. 1. Turn oven onto 350 F.
2. 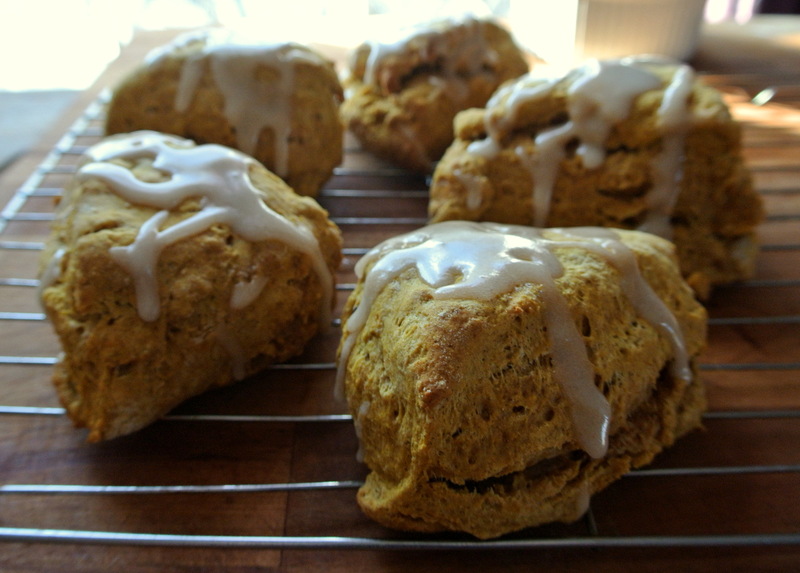 Combine flour, baking powder, cinnamon, salt and ginger. 3. Rub butter into flour mixture, until only pieces as big as peas remain. 4. In a different bowl, mix the pumpkin, maple syrup, molasses, vanilla, egg and milk/cream together. 5. Pour the pumpkin mixture into the flour/butter mixture. Stir until barely combined. 6. Place dough on lightly-floured surface. Fold dough over a few times, then shape into a circle. With a sharp knife, cut into triangles. Move triangles onto cookie tray. 7. Bake for 15-20 minutes. Let cool on tray for 3 minutes, then move to wire rack to cool. Top with maple glaze. 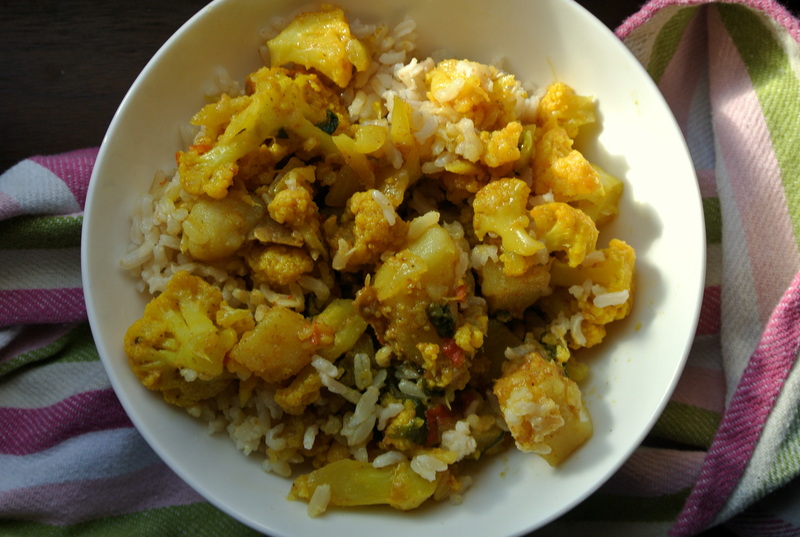 Adapted from this recipe at Our Best Bites. These sound utterly divine. And look beautiful! Yum! Some of my favorite flavor combinations – these sound (and look!) delicious! 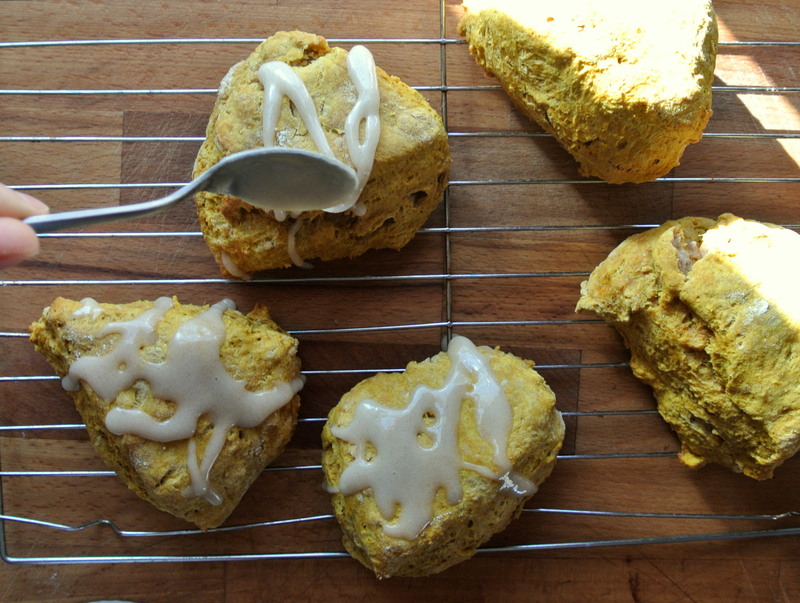 These look so good, I love scones..sooo..so much.